One of the things that our home does NOT currently have is direct covered access from the garage into the house. It's more of an inconvenience than anything else, but something we hope to address. Right now, we enter the house either through a back sliding door (which likely won't exist after the renovation) or the front door. My husband and I have spoken to potential builders over how to best gain garage-to-house interior access. Most of the ideas revolved around doing some sort of addition, but I would prefer to work within the existing square footage. After some brainstorming, I told my hubby... How about creating a doorway from the garage into what is currently the boys' shared bedroom?! Anything is possible, but is it practically feasible? You see, the garage and boys' bedroom share a common wall. BUT since city codes restrict garage access into a bedroom, it would mean that the room could no longer be considered a bedroom under this option. 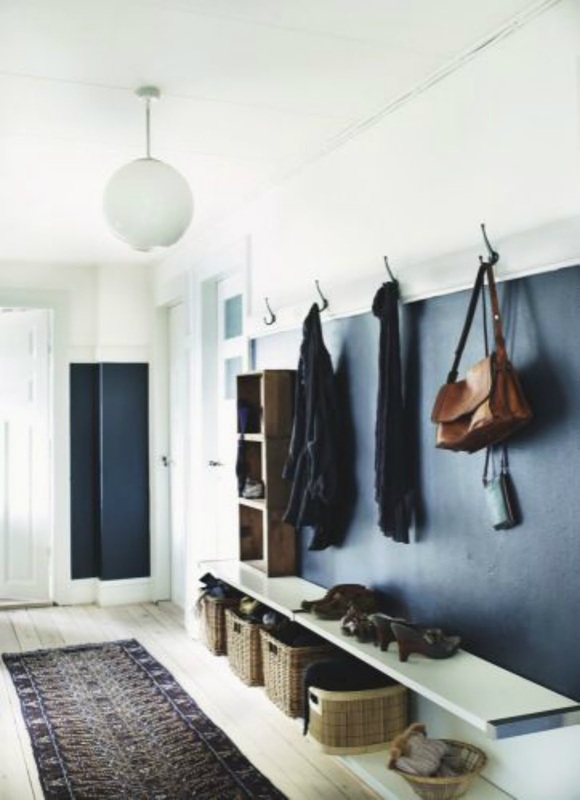 We would technically have to convert the boys' existing bedroom into a non-bedroom... like a mudroom! So where do we put the kids' bedroom?! Well, upon the renovation of the shed and current master bedroom, we could reconfigure the combined space to create separate bedrooms for each child PLUS install a master ensuite. While this option would not require building a new addition, it remains to be seen what would be structurally required to execute this floor plan. At the end of the day, however, it should add resale value since it would take our home from three to four bedrooms. I'll share all the before photos and a design once we nail down a plan!